As outdoor temperatures drop during the winter, the air becomes colder and can no longer hold as much atmospheric water vapor–humidity–as warmer air present during the rest of the year. 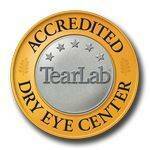 Cold winter winds are especially dehydrating to our eyes and skin which are comprised mostly of water. When the air is dry, the eye surface—which is 99 percent water—loses moisture content to accelerated evaporation and can become dry, dehydrated and irritated. Keep your eyes moist. Placing houseplants or a humidifier in your home can drastically improve dry indoor air conditions. Moisturizing eye drops can relieve dry eyes as well. Feel free to ask us which drops would be right for you. Consider wearing eyeglasses more frequently than contact lenses.Regular eyeglasses do a better job of protecting your eyes from the cold winter winds and can even help hold heat and moisture close to the eyes.